Things You Can Do at Camp That You Can’t Do at Home: Cabin Unity! A big part of what makes camp so awesome is making new friends and spending time doing awesome things with your cabinmates. 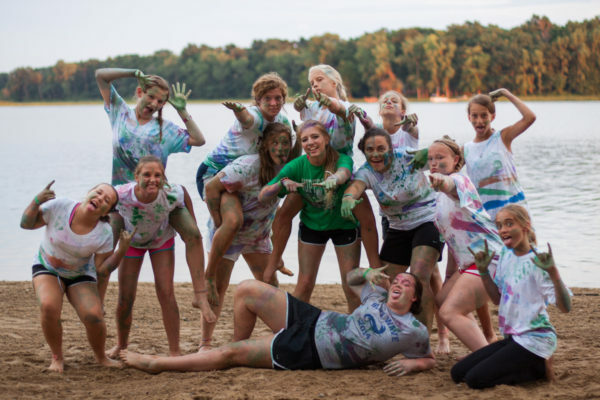 Cabins will do games together, go to chapel and do devotions together, and do so many other fun activities together. Each cabin will consist of about 10 campers and will be led by a counselor and assistant counselor who are college students that love challenging and hanging out with the kids who come for the summer. It’s amazing to see campers come away from the weekend with long lasting, genuine friendships with people from all over the midwest.